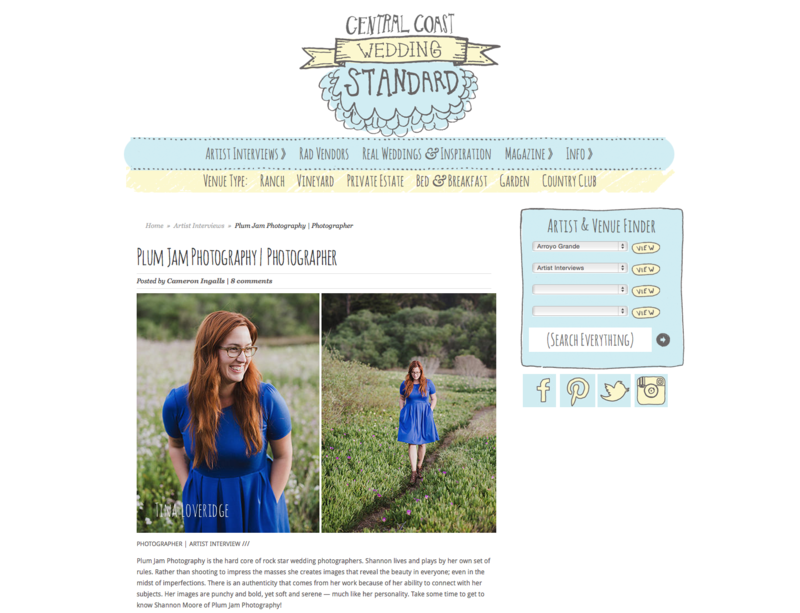 I am still buzzin’ about my The Wedding Standard RAD Artist Feature! Do you want to get to know me a little more? Then click THIS link :) The Wedding Standard is a local wedding website geared towards couples getting married in SLO county (and some other counties in CA as well). You can search for venues, florists, bakers, DJ’s and many more awesome vendors in the area. It’s a great tool for couples to use to find RAD people in the wedding industry and get to know them on a more personal level. I LOVE it!